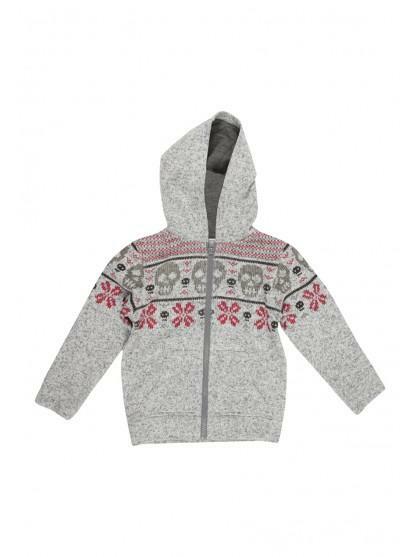 This younger boys knitted fleece sweater makes a great casual, winter warmer for this season. Featuring a fair isle and skull print across the chest, this long sleeve, knitted sweater is great for layering over basic long sleeve tees. 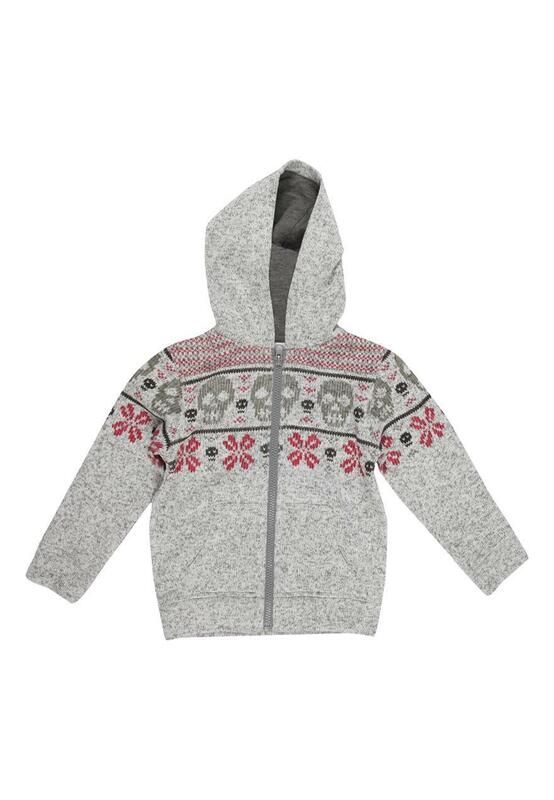 Plus, its fleece lining will keep your little man is extra warm, too.